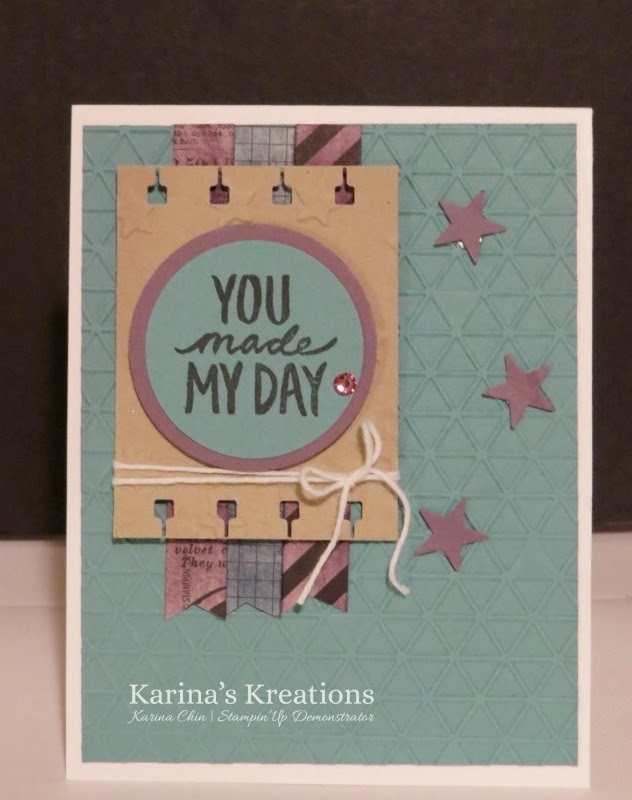 Karina's Kreations: SAB 2015 Best Day Ever Sneak Peak! SAB 2015 Best Day Ever Sneak Peak! Check out this sneak peak using the Best Day Ever Sale-a-bratiob stamp set! You're going to love creating with this fun set and it can be yours with a $60.00 order starting Jan 6th! It's aslo my Stamp It Your Way Card challenge so to play along, design a card using Lost Lagoon, Perfect Plum and Crumb Cake card stock to the Karinaskreations facebook page! It can be any design and if you don't have those exact colors, just substitute something close.